This is officially my longest weekend ever. No class from last Friday through next Thursday because of 中秋节 (Mid Autumn Festival)! We only officially get Monday evening and Tuesday off, but I already have no classes Friday, Monday in the daytime, and Wednesday. Basically I never go to school. 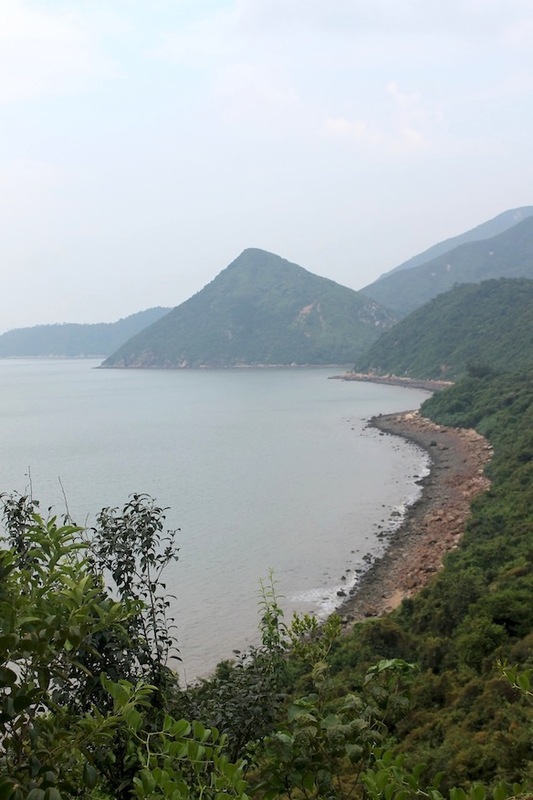 Friday I went on a four hour hike on Lantau Island to a small fishing village called Tai O. It was such a long hike, but totally worth it. It was a paved sidewalk almost the whole way, which was very strange to see on the side of a mountain in the middle of nowhere, but it made it a lot easier. 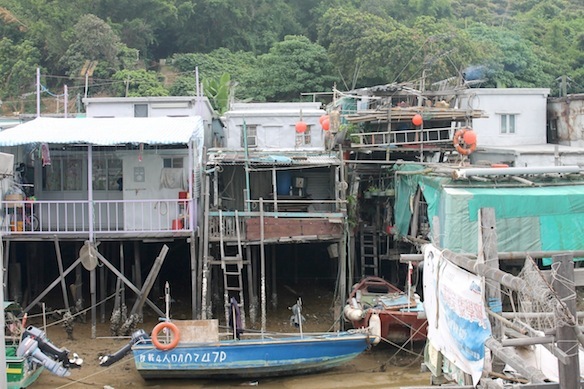 Tai O is amazing – all the houses are up on stilts for when the water comes in, and the marketplaces have all sorts of crazy things. It’s mostly dried fish, but all kinds of fish – I saw dried shrimp, squid, seahorses, even blowfish. I even saw what looked like a dried shark! Just on display at the storefront though, not for sale. 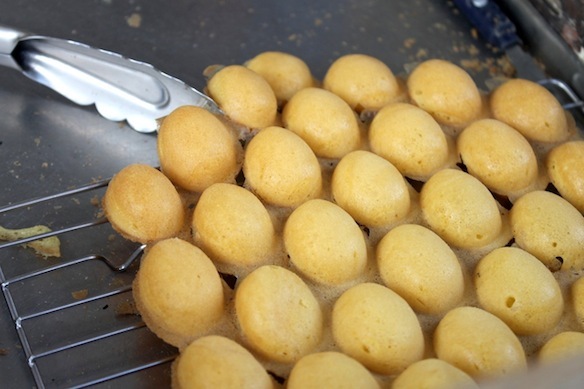 Walking around, we saw someone making those bubble waffle things! 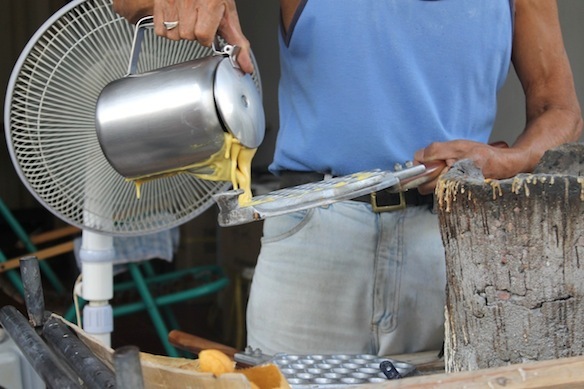 It was really neat how they do it – you pour the batter into the mold, which is sort of like a waffle iron except handheld. Then you hold it over hot coals until it cooks! This one was way better than when I got it a little while ago in Mong Kok; that one had been sitting out for awhile (aka not blog-worthy), but this one was nice and fresh. It tastes just like a waffle, but the shape just makes it way more fun. It’s like bubble wrap! Then Saturday I went to Macau, which was awesome. Macau used to be Portuguese territory, so the mix of culture there is so unique. All of the streets have Portuguese names, and you can definitely see the Portuguese influence in the architecture, but everyone is Chinese! Plus, it’s sort of like the Las Vegas of China – tons of hotel casinos. Ones you’ve heard of too, like the Venetian and the MGM Grand. We walked around a bit getting some street food… EGG TARTS!! They’re hot, with a really buttery crust and eggy filling. They sell them all over at little shops along the street for ridiculously cheap. Also, if you walk around the marketplace people will try to get you to eat samples of whatever they’re selling, like these awfully dry cookies and amazing beef jerky thing. You could basically eat a whole meal there for free! I also got a delicious matcha milk tea with red beans (my favorite) instead of my usual boba. For some reason, none of my friends like red bean… they’re crazy. But anyway. 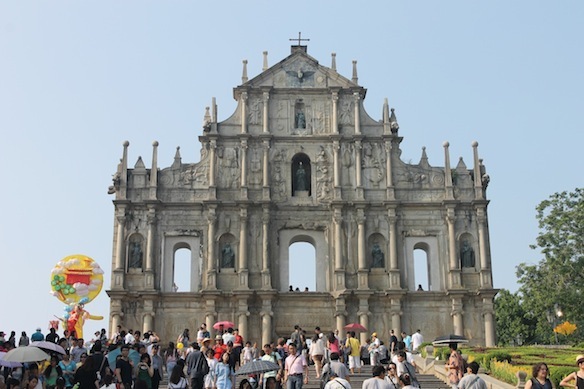 We went to the Ruínas de São Paulo, one of the most famous landmarks in Macau, and that’s basically it. I’d definitely like to go back and explore a little more and see what else Macau has to offer; I feel like there is so much more to see there! After all that adventuring, I was feeling pretty tired today and just stayed local. 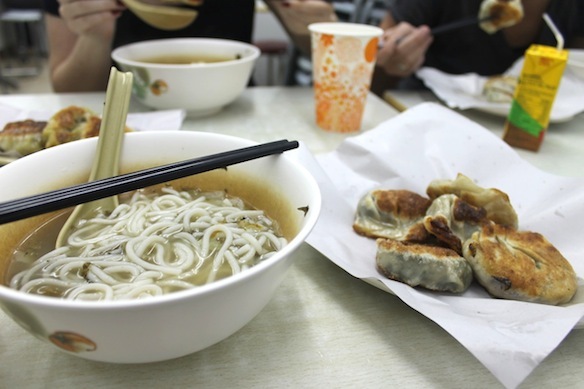 We went to a place in Hung Hom called Dumpling King for dinner, and had noodles and 饺子, or pot stickers. It seems like dumplings are the only time I can get vegetables! I had some that were all veggie and some with spinach and pork, plus freshly made soy milk. They were pretty greasy, but very fresh – you could tell they had just made them. 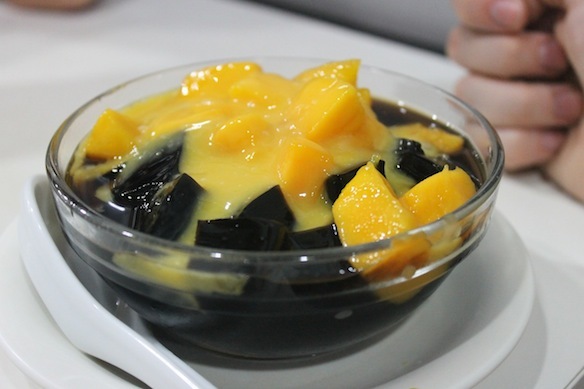 Then we went to a place right next door for dessert, and of course I got sago – mango with fresh mango chunks and grass jelly. It was sooooo good. Seriously, sago is my new favorite food. Someone else ordered peanut 汤圆 (tangyuan), which is sort of like mochi filled with peanut butter and served in a sweet broth. And then, one of my friends ordered…. mango rice noodles. Or, “noddles,” as the menu said. I don’t know what the waitress thought she ordered, but it definitely wasn’t mango rice noodles. It was a big bowl of grass jelly in this ridiculously strong sesame soup with a little bit of mango on top. I didn’t think it was that bad, just too strong. I was the only one who didn’t make a gross face when I tasted it. Next time, I think we’re all going to order by just pointing to the pictures.